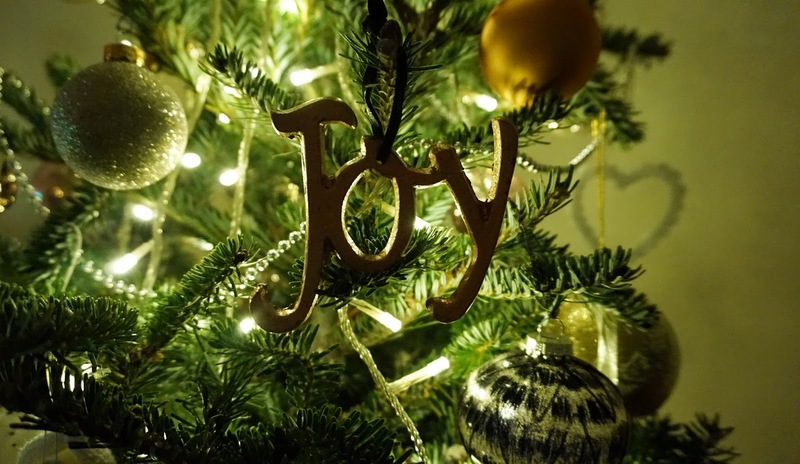 This rose gold ‘Joy’ decoration is a beauty. I love buying individual decorations that are that little bit different to the usual, and when I spotted this one I knew I had to have it. It’s really well made and very heavy, so only the short branches at the top of the tree can withstand it, but I love how it stands out and adds interest. In our living room, we have a very plain wall that just houses our clock and the radiator, and I never really know what else to put there. 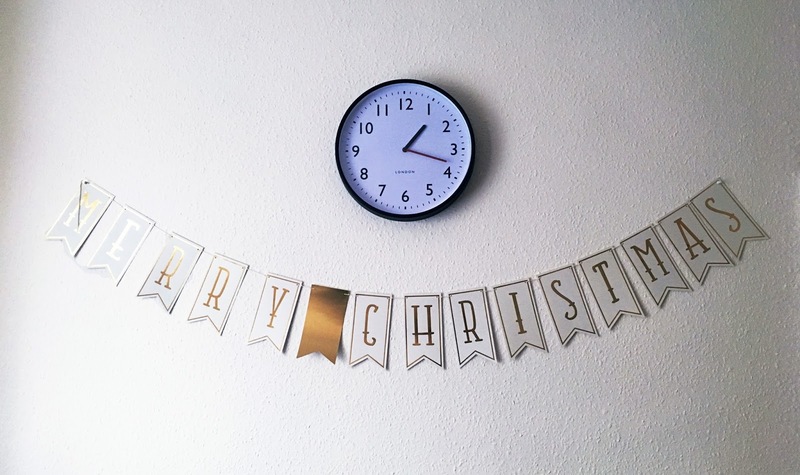 I spotted this paper garland that you put together yourself and thought it would fit perfectly with our metallic Christmas theme. 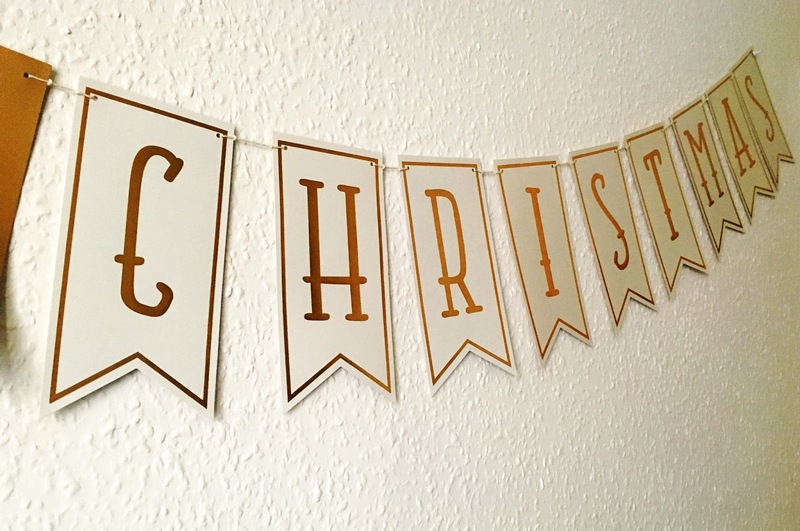 The pack comes with enough string to join the letters to make lovely ‘Merry Christmas’ bunting, and a few different patterned flags to add to it, but I just went for plain and simple gold in the middle. I love it so much, and it would make a great little afternoon craft project for kids! 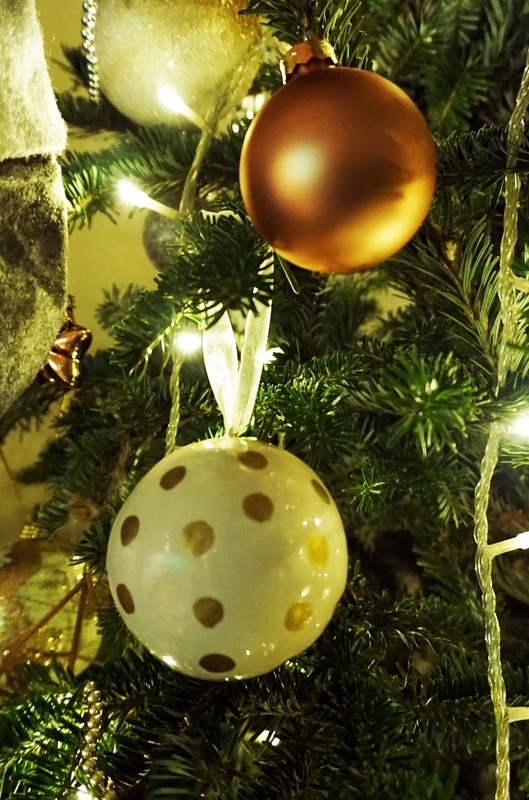 Our tree has lots of metallic geometric shapes, but none quite like these! 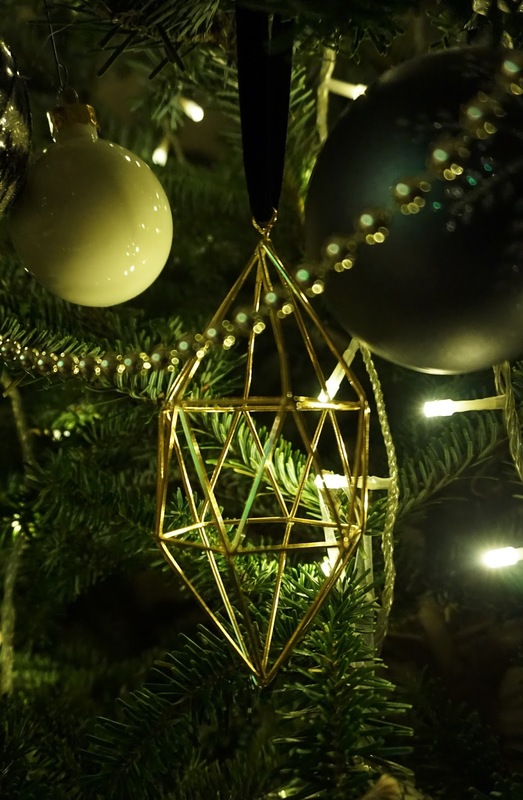 These gold diamond shapes work perfectly against the copper colours on the tree, and are a really cool alternative to a traditional bauble. I also love how they are strung with velvet ribbon for added decadence. 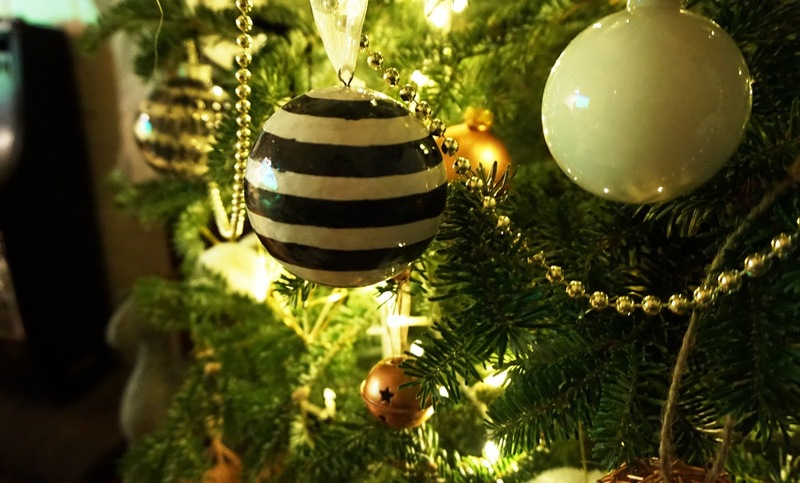 Finally I picked up a set of hand painted baubles in monochrome stripes and gold and white polka dots. If you know me well, then you will know that I am a sucker for all things striped, so these were an obvious choice for me! They’re bold enough to add interest to the tree, but subtle enough that they don’t completely take over. Plus they’re super lightweight which means they don’t make the branches bend! I absolutely love all the decorations I’ve picked up over the past couple of years, and these new additions make the collection even better. Decorating the house for Christmas is one of my favourite things to do, and I can’t wait for the festivities next week! "WINTER HOME DECOR DIY IDEAS (+ HOW TO STAY HEALTHY DOING THEM)"
"BAKING | CHRISTMAS GINGERBREAD CUPCAKES"